Aggie is our beautiful “Dauber daughter”. 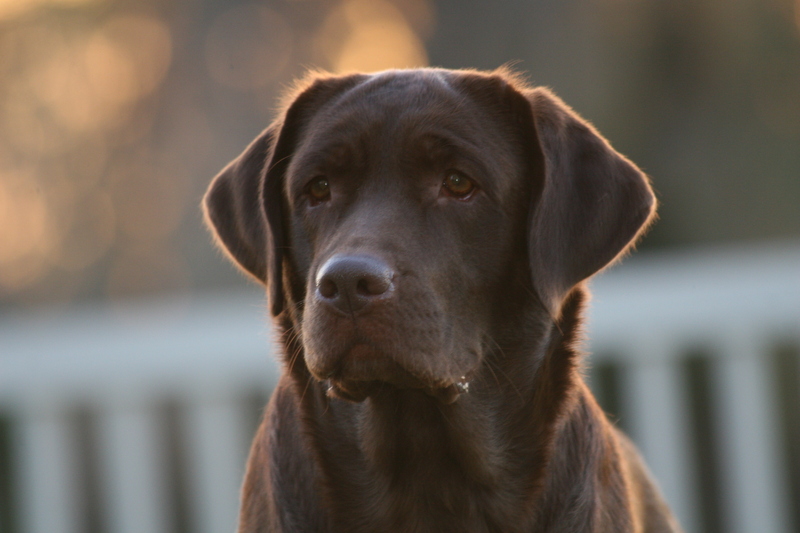 Dauber is one of the top producing chocolate Labradors in the country. He is not only good looking, but he also has his Junior Hunter title and Working Certificate in the field. 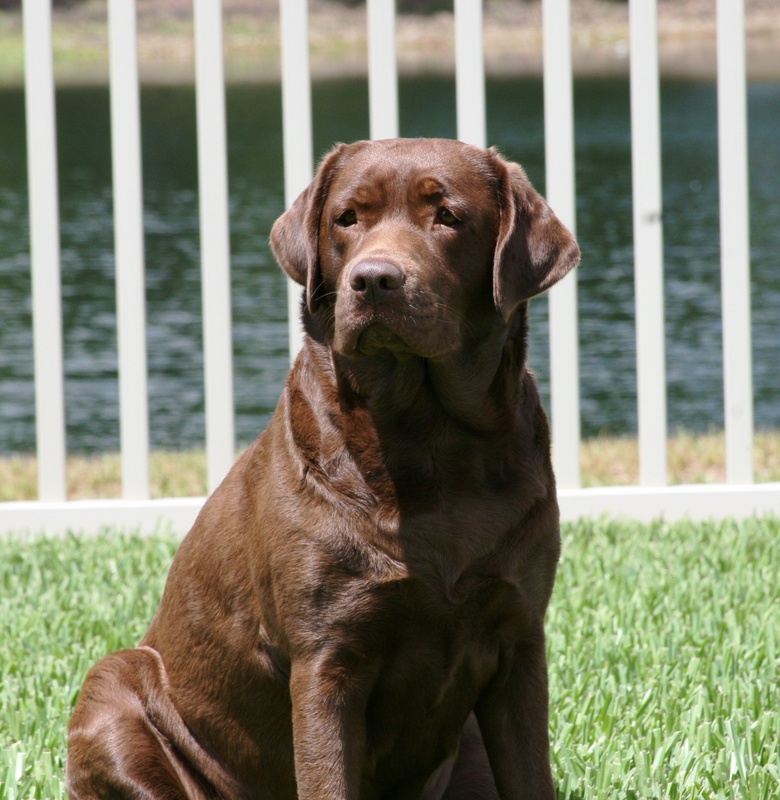 He was the perfect dog to breed to sweet Codi for her first litter. It was a small litter with only two chocolate females, so we are lucky to have our Aggie girl. 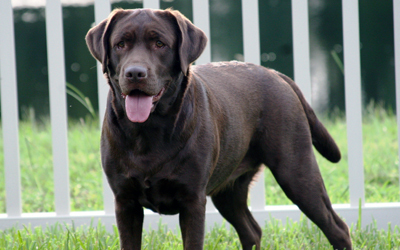 Aggie is a great representation of the Labrador breed. 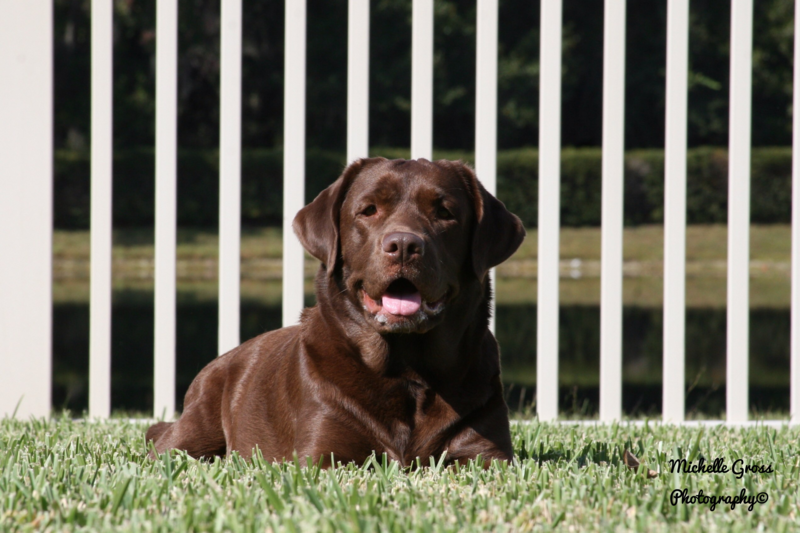 She has a wonderful temperament and makes friends with dogs and humans alike. She especially loves kids, even if they pull her ears while she is eating! Aggie is an incredibly smart and well-behaved dog. She passed her Canine Good Citizen (CGC) exam at only six months old! She excels in obedience and is always the top dog in her obedience classes. She earned her IABCA International Junior Championship in May 2010 and her IABCA International Adult Championship in May 2012. 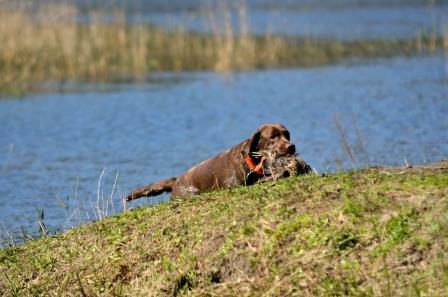 Aggie has a very good work ethic and a strong drive to retrieve. She is happiest when she is swimming and she has never been beat in the water by any other dogs. Aggie’s conformation is very well-balanced and she moves nicely. She is 22 1/2″ tall at the withers and weighs about 70 pounds. She has a lovely head with attractive eyes and a correct bite. She has a great “otter” tail and her hips were rated the highest rating, “excellent”, by the Orthopedic Foundation for Animals (OFA). Click here to view Aggie’s health certificates on the OFA website. 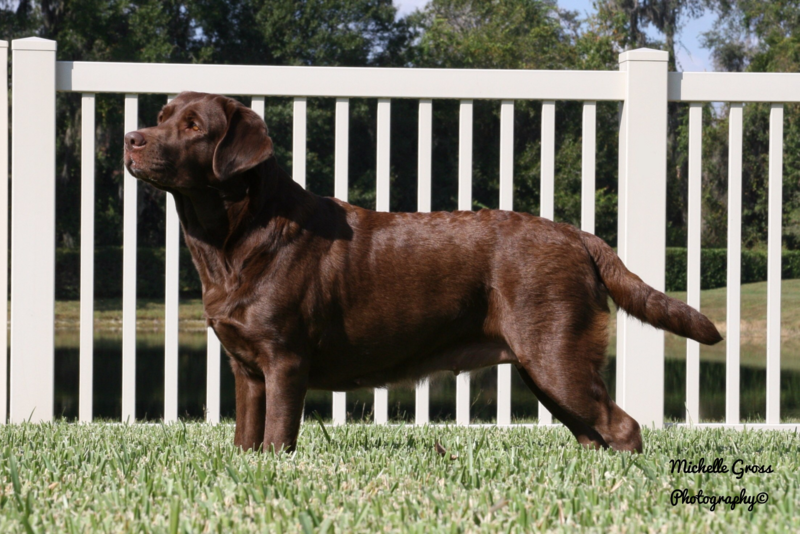 Sire: BISS Ch Wilcare Leisure Suit Larry (“Dauber”) – Click here to visit Dauber’s webpage. Dam: Int Ch Chambrays Greenhead Cundiamor (Codi”) – Click here to visit Codi’s webpage.